1) Espagne – (Academia Heraldica) – D’azur à l’aigle d’or à la bordure du même ch de huit cadenas de sable l’anneau ouvert. English: Azure with an eagle or a bordure of the same charged with eight padlocks sable the rings open. 2) Castille – Écartelé au 1 d’azur à l’aigle de sable acc en chef de deux fleurs-de-lis d’or et en pointe de trois calices du même rangés en fasce au 2 d’or à trois cadenas de sable l’anneau ouvert 2 et 1 au 3 d’or à deux cadenas de sable l’anneau ouvert l’un sur l’autre au 4 d’azur à l’aigle de sable acc en pointe de deux calices accostés d’or. English: Quarterly 1st azure with an eagle sable accompanied by in chief two fleur de lys or and in base by three chalices of the same arranged fesswise 2nd or three padlocks sable the rings open 2 and 1 3rd or two padlocks sable the rings open in pale 4th azure with an eagle sable accompanied by in base by two chalices side by side or. 3) Andalousie – Parti au 1 d’azur à l’aigle d’or couronnée du même à la bordure du second ch de huit cadenas de sable l’anneau ouvert au 2 coupé a d’or à un arbre terrasse de sinople sommé d’un oiseau de sable b d’argent à la bande de gueules. English: Per pale 1st azure with an eagle or crowned of the same a bordure of the second charged with eight padlocks sable the rings open 2nd per fess a) or with a tree covered mount vert surmounted by a bird sable b) argent a bend gules. This popular Spanish name, primarily Castilian, is a habitational or topographic surname that referred to a person who was from or lived in any of several places name either Soto or El Soto, from the Spanish word soto, meaning a small wood or grove, perhaps on the bank of a river, ultimately from the Latin saltus, which referred to a pasture land containing a forest or wood. Some spelling variants or surnames with similar etymologies include Sotto, Souto (Galician equivalent), and Soito. The Asturian-Leonese spelling was Sotu, a habitational name from a village/town named Sotu in Asruties. The last name Soto ranks 257th in popularity in the United Status as of the 2000 Census. The name ranks particularly high in the following eight states: Arizona, California, New Jersey, Texas, New York, Nevada, New Mexico, and Florida. Soto ranks in the top 200 names in each of these states. In Spain, the name ranks 88th. In Portugal, it ranks 166th. The surname Soto frequency/commonness ranks as follows in the Latin and South America: Mexico (50th), Brazil (2,182nd), Chile (6th), Colombia (114th), Peru (51st), Venezuela (78th), Argentina (92nd), Guatemala (57th), Costa Rica (40th), Puerto Rico (24th), Dominican Republic (73rd), Cuba (87th), Bolivia (116th), Honduras (141st), Panama (114th), El Salvador (218th), Nicaragua (255th), Paraguay (273rd), and Ecuador (266th). 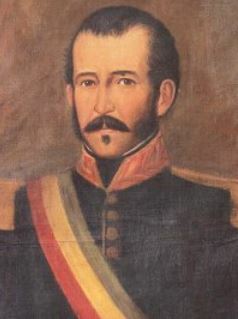 Maximo Soto was born sometime before 1840 in Mexico. In 1875, he married Valentina Perez, and had four children with her as follows: Ramon, Juan, Gregorio, Ruperto, and Paula. His son, Ramon Soto, was born around 1871 in San Nicolas de Tolentino, Jaral Del Progerso, Guanjuato, Mexico. He married three times: Nicolasa Juarez, Fernanda Valverde, and Florencia Adame. He had the following issue: Ramona, San Juana, Trinidad, Dolores, Fabian, Maximo, Herminia, and Maria. His daughter, Trinidad Soto, was born in Karnes County, Texas, in 1906. She married Ramon Guerra and had the following issue with him: Ventura, Antonia, Elias, Rebeca, Natividad, and Ramon. 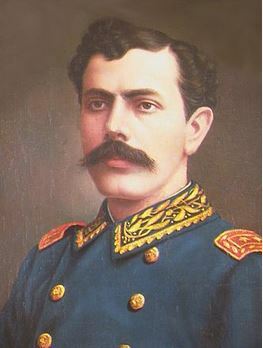 Mariano Soto was born in Tamaulipas, Mexico in 1858. He was the father of the following children prior to his 1939 death in Texas: Ramon, Leonides, Eristea, Donato, Blas, and Sixto. One of his sons, Donato Soto, was born in Texas in 1891. In 1911 he married Mauela Palos, and had four issue with her as follows: Jose Soto Palos, Jesus Soto Palos, Marcelo Soto Palos, and Amando Soto. His son Amando was born in Skidmore, Bee, Texas in 1924. He married Maria de la Luz Carranza and had two sons with her: Juan and David Israel, both born in Texas, in 1947 and 1965, respectively. 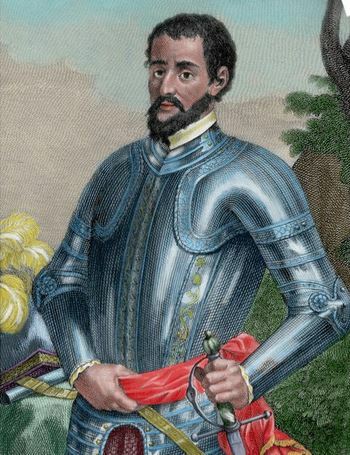 Some of the earliest known settlers in the New World bearing this surname were Antonio de Soto who came to America in 1513, Sebastian de Soto who came in 1515, Pedro de Soto who went to Peru in 1534 and Diego de Soto who went to Florida in 1538. 7) Marco Aurelio Soto (1846-1908) who was the President of Honduras from 1876-1883 known as a liberal and reformer, born in Tegucigalpa. 9) Iván Hernández Soto (1980) who was a former Spanish football/soccer player from Madrid who played for numerous teams from 1998-2015, such as Mocardo, Amoros, and Alcorcon.